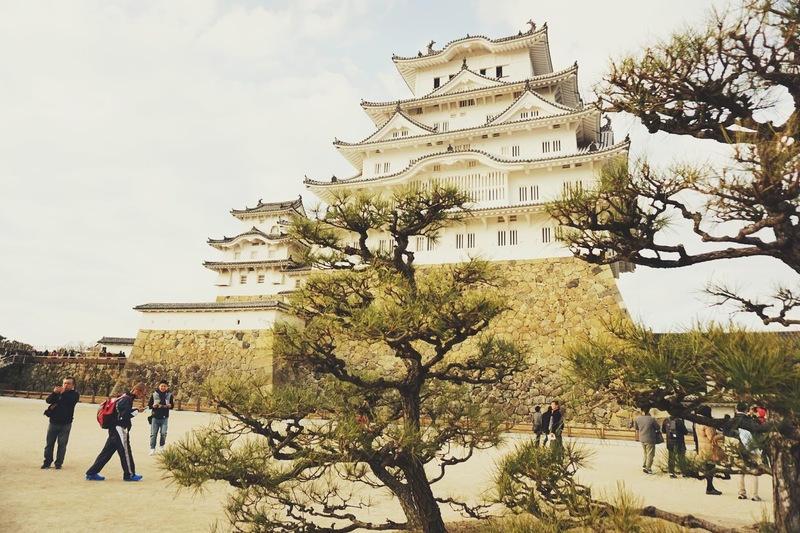 Himeji has always been one of my favorite castles in Japan. It was the first one I visited on my first trip to Japan in 2002, and my first UNESCO World heritage Site. 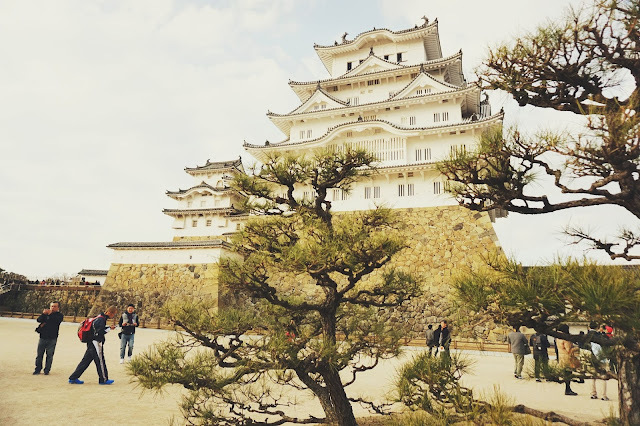 And with it being one of the largest, mostly in-tact castles in Japan, it leaves such a visual impression on one's memory that is hard to beat at more modernized castles (lookin' at you' Osaka Castle). 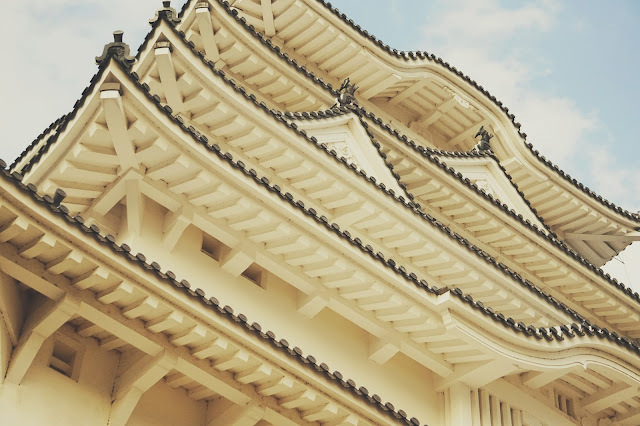 Built in the early 1300s, Himeji Castle is one of the best examples of traditional Japanese castle architecture. It's also been rebuilt several times, survived a city bombing during WWII, and survived the Great Hanshin Earthquake of 1995, so you can see why it's so revered in castle circles. 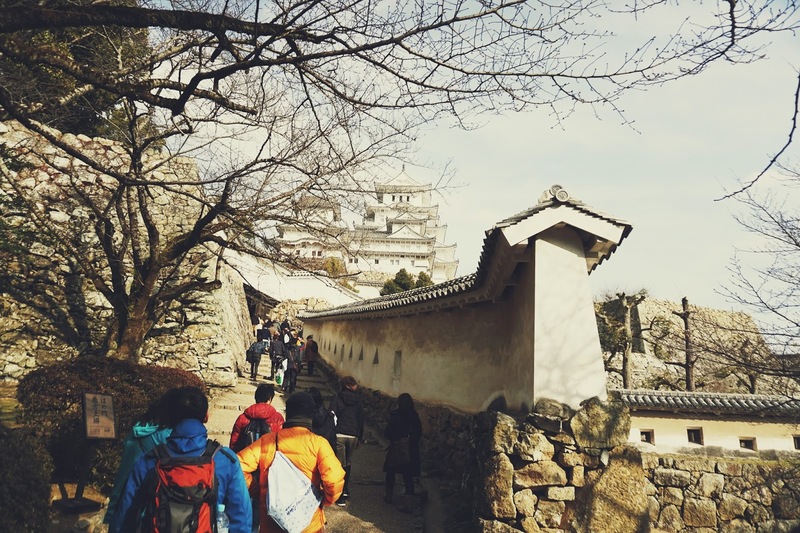 Himeji Castle is accessible by bus, train or car; a parking lot and bus stop are located right by the entrance of the castle complex. The JR/Sanyo Dentetsu stop for Himeji Castle is Himeji Station, but it will be a 15-minute walk from here. Board the bus if you want to save yourself some walking time. The park area surrounding Himeji castle is quite smaller than Osaka Castle as some of the moats have been filled in, but the paths leading up to the main keep often turn back on themselves, making it quite the task. The park is also filled with hundreds of cherry blossom trees, making is quite the tourist spot in Spring. We didn't get to Himeji until late into the afternoon, so we skipped the tour of Nishi-no-maru (West Bailey), and headed straight to the main keep. 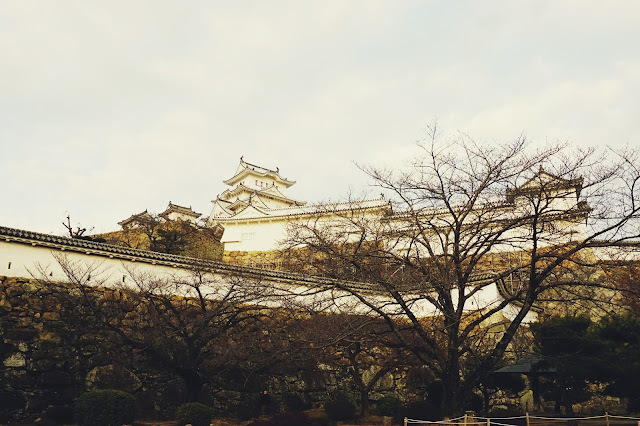 The number of visitors pouring into and out of the castle was quite impressive, especially for a castle pretty set apart from other popular Kansai sites and cities. I have to admit, though, that I longed for the relative privacy I felt while in the castle during our trip in 2002. A scale model of the castle from the feudal era. A few rooms near the staircase were kept in-tact to show their purpose while the castle was still in use, but most of the castle is empty. You do get great views of the city surrounding the castle. The walk through the main keep is pretty quick, so I would go there first, then spend the rest of your time slowly wandering around the castle compound since that is where the best photo opportunities will probably be. 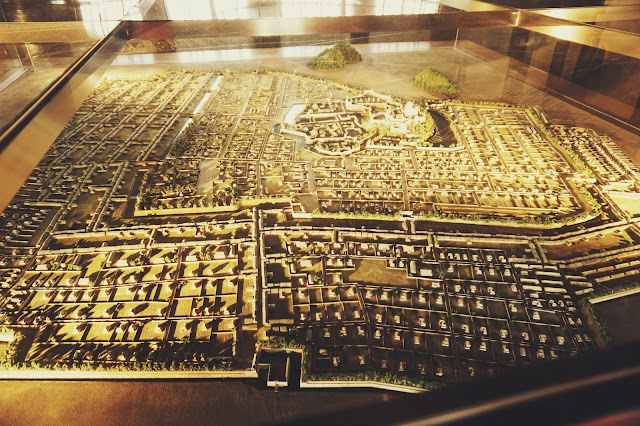 Be sure to plan for the rest of your day in Himeji City as well. The castle is beautiful, but the visit won't take more than a couple hours to see everything. Himeji City's tourism website has some great suggestions on other things to do in the area. Multi-lingual pamphlets are available near the entrance, and there's also an augmented reality app that you can download and use around the castle. And if you're interested in a mini-tour, please check out my YouTube channel for video of the castle and more! As always, if you have any questions, comments or concerns, feel free to leave them below!